As the winter season is almost here, the demand for snow removal is surging once again. It is during this period that snow removal searches on insurr are reaching their peak. But, are there enough markets to cater to this growing demand? McIntosh admits that snow removal is a very tough class to place. According to her, markets that used to entertain this type of risk have closed themselves off to it now. When asked about how she deals with that difficulty, she responded: “When marketing a risk like this, [I] do a blind copy email blast to all potentially viable markets. Then see what sticks.” She even shared with us an instance wherein two underwriters did not respond to her submission (not even to decline it) and though in the end another underwriter took the risk, it came with a hefty premium of more than $12,000 per year. We found that McIntosh’s concern (and perhaps the concern of more other brokers dealing with snow removal) valid, as one underwriter we reached out to for this blog chose not to comment on their current appetite for the class, despite their relevant listed product. The underwriter told us that their capacity for snow removal is limited, so they prefer not to promote the fact that they can consider it, as they are now being bombarded with submissions. Cansure gave some meaningful insight into this problem. “Lloyd’s of London has largely exited the class of business due to unprofitable results. Since Lloyd’s was the largest writer in the class, this is leaving a lot of business displaced and few options for insurance,” they said. About their excess/umbrella product, Cansure said that they do not offer it to snow removal contractors per se and can only offer it on a case-by-case basis. In addition, they do not write snow removal in-house. But, they have been able to place some accounts for their brokers into their domestic and London relationships. They also mentioned that Wawanesa and Intact are writing the class for small operators and those who perform landscaping and other dirt-work operations. From both perspectives, snow removal is a tough class to place. It can be said that there is a shortage of supply (market) compared to the demand for snow removal insurance. 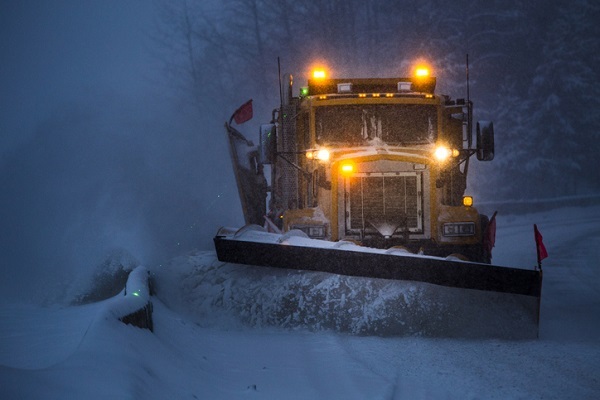 Although snow removal is just a seasonal risk, it is still a risk that needs to be covered. As of writing, there are only eight underwriters offering a snow removal product listed on insurr, and we are looking forward to more markets opening and accommodating this class. For specific questions on this class of business, feel free to submit to us at admin@insurr.com. We would be happy to reach out to our most relevant underwriters on your behalf.